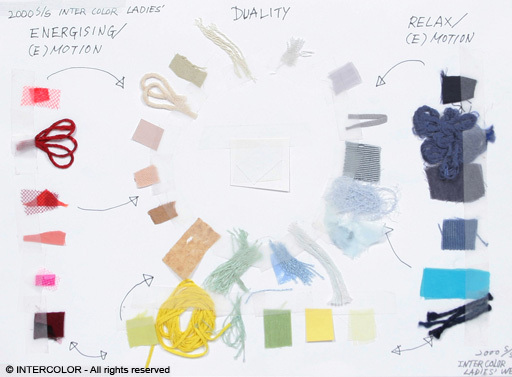 Twice a year, during Intercolor congress, delegates present their colour proposals for a specific season and the concepts, lifestyles and environments that influenced their choice. At the outcome of two days of discussion, the main trends are summarized and the intercolor colour range is drawn up, a distillation of the ideas shared during the work sessions. 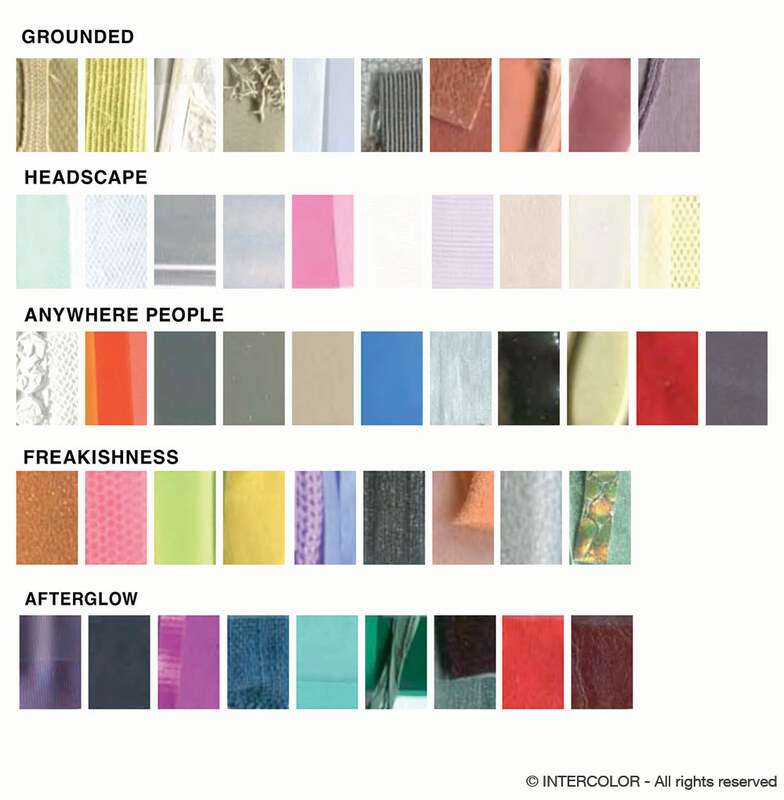 While helping unify trends for the textile, fashion and design industries, Intercolor seeks to innovate and stay at the spearhead of the avant-garde. 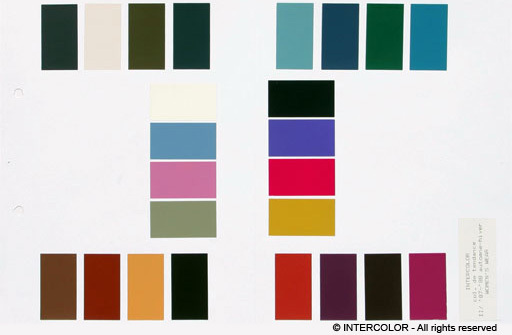 The Intercolor colour range is not governed by any preconceived rule or concept and can be translated into various types of colour card, giving a succinct forecast that closely reflects international trends and influences. 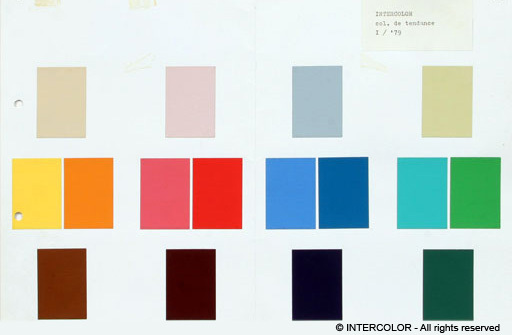 Colour cards are not published by Intercolor, but member countries are free to circulate the Intercolor consensus colour palette along with copies of the other member countries’ colour cards exclusively to their own organisations. ACTIVISM – DO IT WITH LOVE ! The world continues to face a difficult time financially, with complex economic systems developed that intertwine with our daily lives. The Virtual is now Real. Ecology issues have become global problems and we need to act. It's time to reset things and to reconstruct and renew our real life. 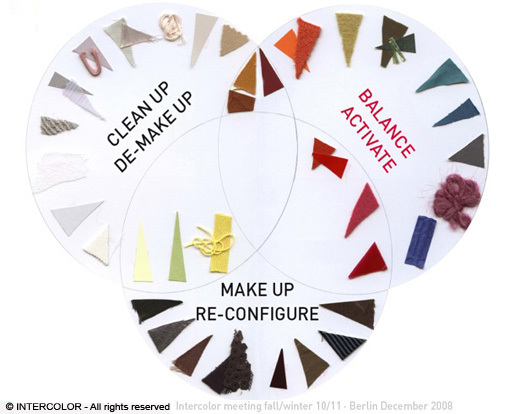 "Make up - Clean up - Balance" shows the idea of designing colours on “Tabula Rasa”. White in the centre of this colour card symbolises the new millennium and the beginning of a new era, while yellow represents the importance of light. The contradictory attitude between energising and relaxing is the key concept of the colour card. 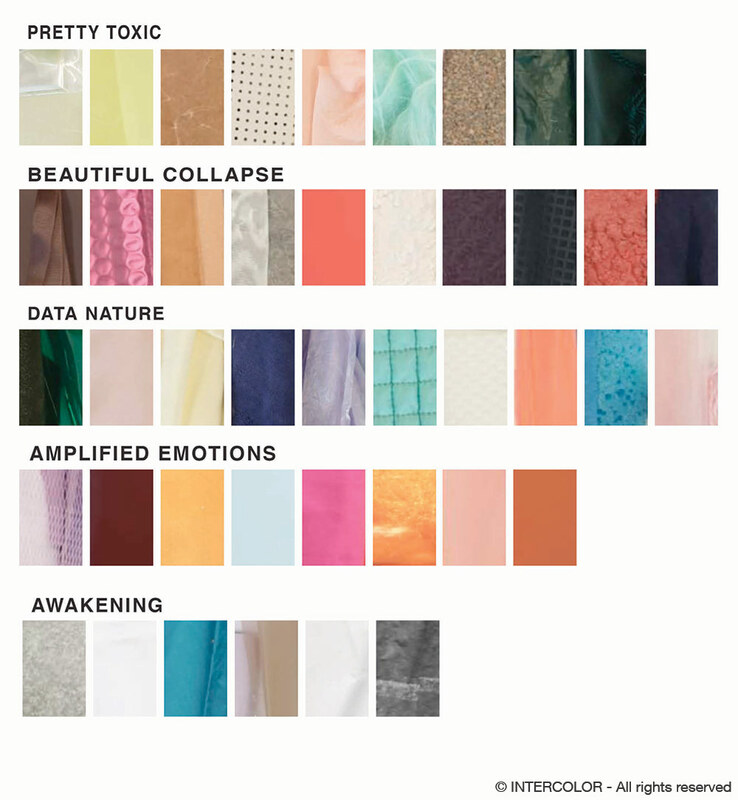 "Ecology" colour trends gained more power in the market. Natural motifs such as flowers, plants, water and sky inspired colours for fashion. Tender ecological colours went well with colours borrowed from nature. Black & White (especially Black) played an important role in the market in the mid 80s. 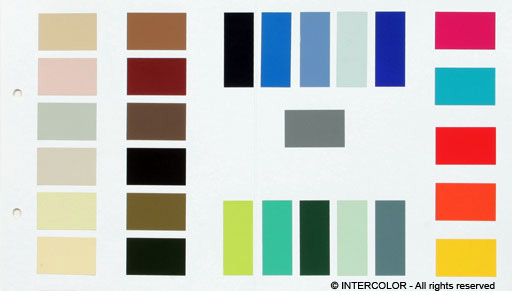 Japanese "Zen" colours or blacks had strong influence through designers Yoji Yamamoto and Rei Kawakubo, which is clearly evident in this palette. At the same time, the new "Ecology" concept began to cast its shadow on the palette, symbolized by the ranges of browns, beiges and greens. Minimalism, Simplism and Health-conscious living gained ground in the late 70s. This palette shows it very clearly in the slightly tinted colours which symbolize the trend to these movements in the market. This palette has the typical 60s vivid sporty atmosphere which was selected for 1968, the year of the Mexico Olympic Games. It shows the characteristic strong luminous colours which became popular in late 60s and peaked in 1968.